Browsing Coterie magazine, No. 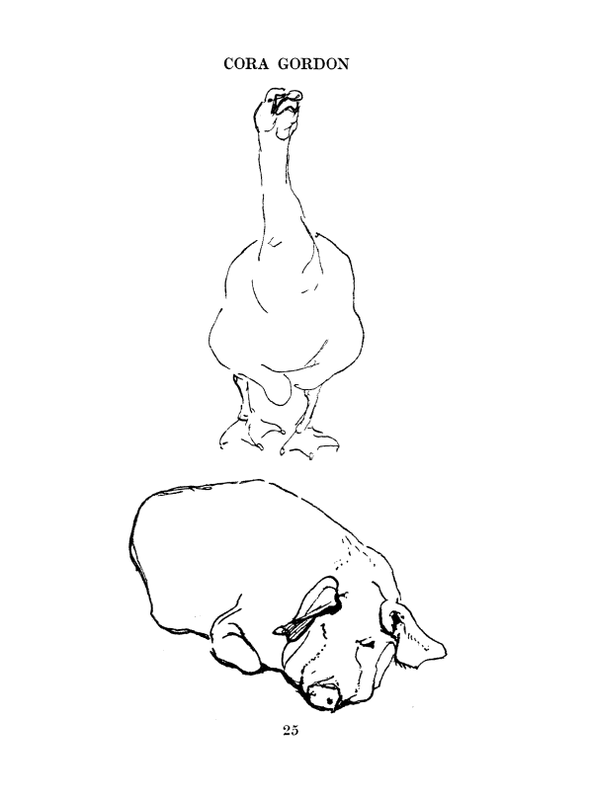 2, September 1919, I came across the following drawings by Cora Gordon. The charming line drawings of goose and pig showcase Cora Gordon's virtuosity with a pen. Cora's ability to rapidly sketch with a fountain pen was well known in my house and was celebrated in a chapter of A Step-ladder to Painting by Jan Gordon. Another well known set of pen drawings by Cora Gordon were of my aunt Pamela. For other works of art by Cora Gordon, including many drawings, please see.